About two weeks ago, we lost someone very close to our family, a dear cousin. She was only 43 years of age when she lost her battle with cancer. She was always giving and so thoughtful of others. It was more than just a nice thing to say when she asked, “How are you doing?” she really did sincerely want to know how you were. We decided yesterday to take a trip to visit some of our aunts, one being the mother of this beautiful woman. My husband explained to the girls how they should behave, prior to us going into the house. We were there to love and to give lots of “huggies”, as my 3-year-old daughter would say. Our little angels did just that! From one lap to the other, they took turns holding their great aunt’s hands and cuddling with them. Love speaks louder than words. For a child to wrap their arms around you and smile, is like taking in a deep breath of fresh air. 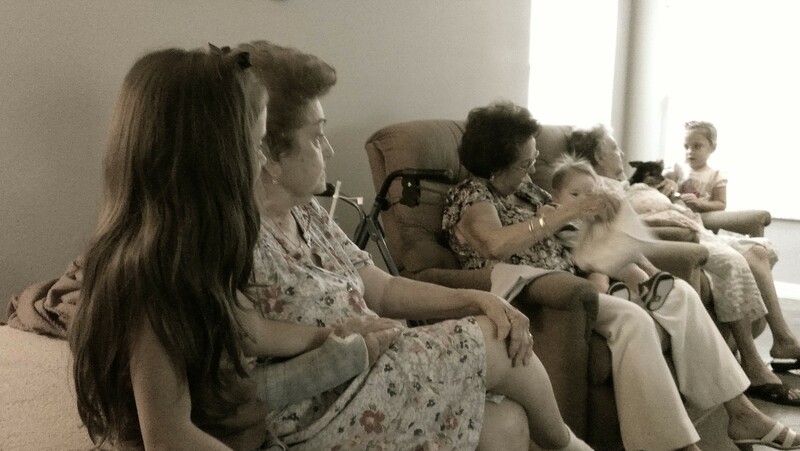 Even though the girls could not talk much to their great aunts, because their first language is Spanish, the huggies, cuddles, and smiles were more than a thousand words. May we never be too busy to give a “huggie” to someone who is hurting.